We would like to invite you on board of our yachts to throw your stress away. Your captain will provide you with the information needed for your own safety. 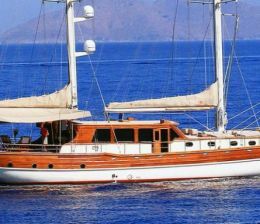 Your crewed yacht charter Turkey will be remembered forever. While you are sipping your welcome cocktail, some other rules also should be explained on the part of the captain of your crewed yachts charter, so that your cruising will be safe and nice. Refreshing yourself by swimming in the crystal clear water requires sailing to Tersane Island where it will be your first destination. For sure you will not feel satiated of this beautiful island. 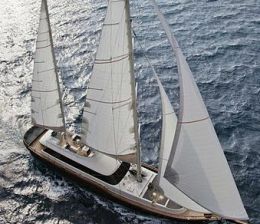 Nevertheless, we still have a lot to show you in your crewed yacht charter. Now let us drop the anchor in Sirali Buk bay feel the salty water surrounding you. After this nice station there, you can enjoy your lunch to go back to swimming afterwards. At this time, the cook will start the fire on the barbecue for your dinner. Till that time, you can listen to some music that you are used to listening to or you can ask the captain about some folkloric songs which you will definitely enjoy during your crewed yacht charter cruising.